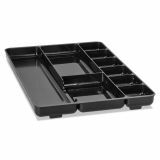 Rubbermaid Regeneration Nine-Section Drawer Organizer, Plastic, Black - Regeneration Drawer Organizer keeps desk drawers neat and provides easy access to materials. 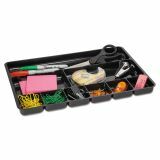 Nine individual compartments can store pens, pencils, scissors, clips and sticky notes. 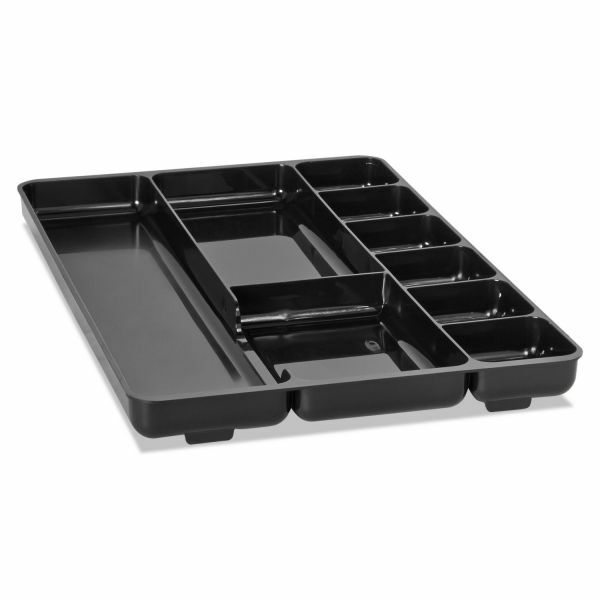 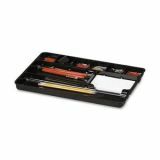 Organizer is made with a high percentage of recycled plastic.